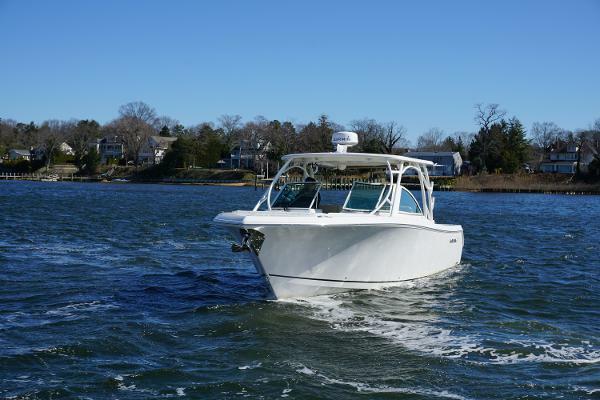 Seller Ocean Blue Yacht Sales, LLC. 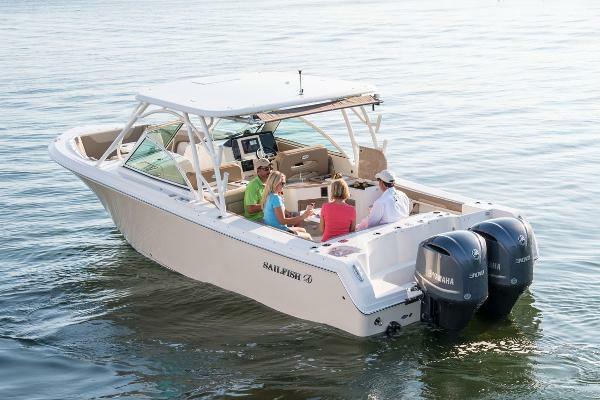 From a sunset cruise with your friends, to an afternoon of wakeboarding with the kids, or some serious fishing action the versatile new Sailfish 325DC provides the perfect platform for whatever your day on the water looks like. 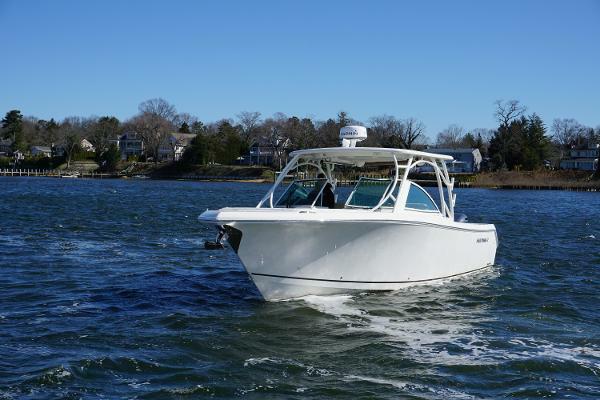 Packed full with standard features and built using quality, proven SailTech construction techniques The Sailfish 325DC is the perfect follow-up to the incredibly popular Sailfish 275 Dual Console introduced last year. 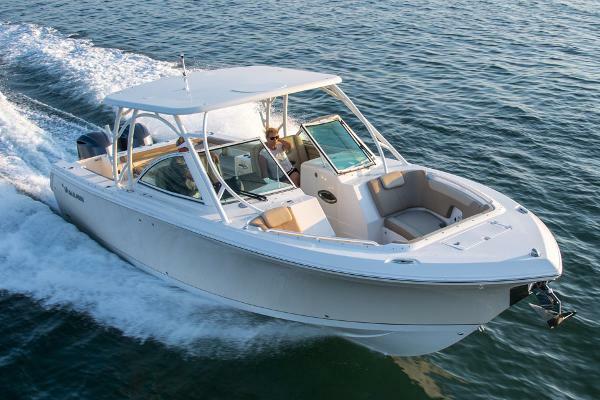 Visit your local Sailfish dealer and see the Sailfish 325DC up close and personal. 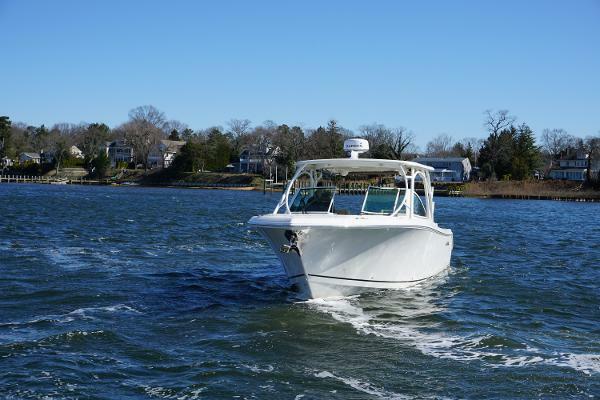 Luxurious bow seating, a well equipped cockpit galley and below deck pantry, a spacious head, comfortable captain’s chairs, easy step down rear and side entry and a full array of fishing amenities, make the Sailfish 325DC a fantastic addition to the Sailfish line-up. 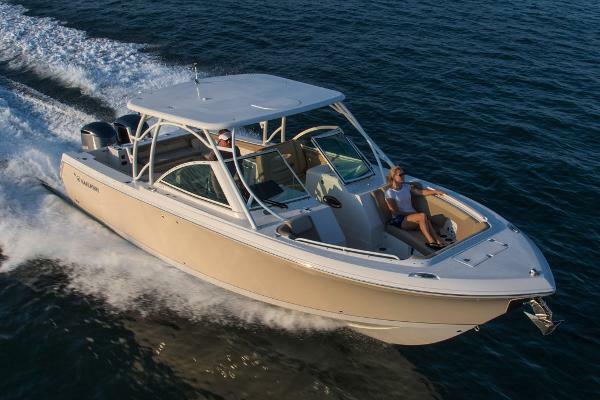 Unique variable degree stepped (VDS) hull offers the smoothest ride on the market. Sailtech construction means years of dependable, low maintenance and safe operation. Intelligent ergonomics makes for maximum functionality and operational ease.